At AirClaims we outline exactly what you can do if you’ve been left stranded, waiting for your flight with Thomas Cook. If you are among the unfortunate few who have been dealing with long Thomas Cook flight delays, fret no more. AirClaims are able to do all the hard work for you, and as we specialise in flight delay claims, we have become very efficient at getting remuneration. We are so confident, in fact, that you have nothing to pay unless we actually win your case! Thomas Cook Group Airlines consists of four divisions. They are Thomas Cook Airlines UK, Thomas Cook Airlines Belgium, Thomas Cook Airlines Scandinavia and Condor Flugdienst GmbH (German-based). If you plan to travel internationally, it’s often nice to be familiar with the airline you’ll be travelling on. Customer service for each of the four is all handled by the Thomas Cook Group. First, to answer the most common question: Yes, Thomas Cook was a real person. He founded one of the world’s most famous travel brands. In 1841, Cook arranged a steam train trip for his temperance group. They travelled from Leicester to Loughborough. By the end, the trip was deemed such a success that Cook decided to arrange more. Over the years, Cook had a lot of success arranging large group holidays to Scotland, Wales and other U.K sites. The company’s complete history is a fascinating study of not only Cook but the entire field of U.K. holiday travel. The late Thomas Cook would probably be proud and amazed by the success of the airline which bears his name. Since 2013 they’ve consistently ranked at least sixth in market share. They carry upwards of six million passengers each year. They’re also frequently recognised for Environmental Responsibility. Exploring the natural world was important to Thomas Cook, and this philosophy has carried on in spirit. Times have changed quite a bit since the initial days of voyage by steam train. But air travel is still far from perfect. 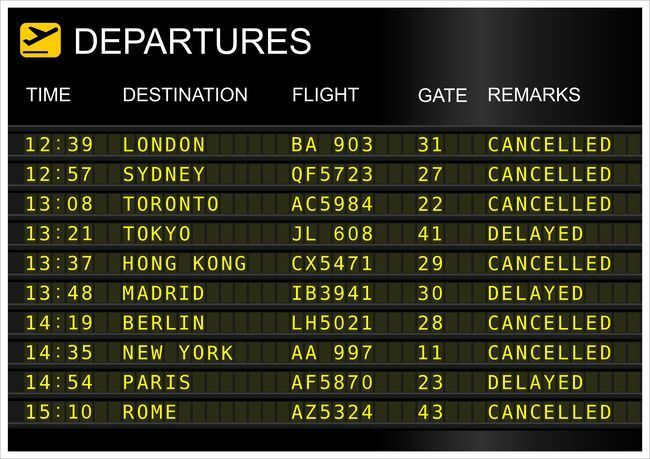 If you’ve experienced a delayed flight, you could get over £500 in compensation (per passenger). Doing it through AirClaims.co.uk is often quicker than attempting to deal with the airline directly. Click the link below to learn how government regulations can help you, even if your flight problems occurred up to 6 years ago.